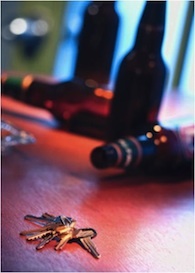 In part 1 of this article, we began our general overview of 2nd Offense DUI’s. We looked at staying out of Jail, evaluating the evidence, and Legal Fees. In part 2, we’ll pick up with an examination of the concept of a legal “Consultation,” finding the right Lawyer, License Consequences (meaning mostly License Revocations) and Counseling and Treatment options. Like every Lawyer out there, I do consultations. Mine, however, are done on the phone. I can spend 15 or 20 minutes with someone on the phone and get a good feel for them, their case, and what issues it presents. Likewise, they can get a feel for me, and my approach. What I like best about a phone consultation is the somewhat anonymous ability for either party to not feel any obligation or pressure beyond that phone conversation. In other words, if I don’t like you, or I think you’re a kook, or if you don’t like me, or think I’m whatever, then we need not go any further. We can say “goodbye” and hang up. I have been told, many times, by Lawyers who do the “in person” consultation that it has a good “closing rate,” and that I should change my approach to do it that way. In other words, the idea is that once you get them in the office, you should be able to get them to sign up. I don’t work that way. I could explain that all day, but in the end, that’s just not me. Instead, after speaking with someone, if they feel I’m the Lawyer for them, and I think I can help them, then they can either let me transfer them to one of my Staff members to schedule an appointment, or, if I’m not in the Office and am returning the call (which is the usual scenario), then I’ll tell them to call my Office and schedule an appointment. I have written several articles about finding the right Lawyer, and I urge the reader to review them. One thing I’m sure about is that, as much as I might spark some curiosity about me with all these articles, I will also convince some people that I’m not the Lawyer for them, which is also a good thing. I have no illusions that I’m the Lawyer for everyone. I speak frankly and often use the more pedestrian voice of my upbringing. That’s me. In fact, the whole point of this is that finding the right Lawyer for you takes some time, and is a process. Even if the first Lawyer with whom you speak turns out to be the one for you, that should become clear only after you’ve weeded through a number of others with whom you’ve spoke, or whose articles you’ve read. More than anything else, you have to like the person you’re going to hire. Finding the right Lawyer, then, really involves a number of considerations. Lets’ assume the reader has already found the right Lawyer. The reader is well aware that the maximum possible Jail penalty for their 2nd Offense DUI is 1 year n the County Jail, and that, unless their case is being heard in the 48th District Court, with some good legal work, they can usually avoid dong any of that Jail time. The next, and I think most important, real-world consequence of a 2nd Offense DUI is what happens to a person’s Driver’s License. Since virtually all of my Clients will not be going to Jail, there is little sense discussing that beyond pointing out that, in order to avoid that potential Jail Sentence, the Client needs to come in “all ears” and be ready to do what’s necessary to make that outcome a reality. By Law, (and we’ll talk about a change in that Law which takes effect on January 1, 2011) a person who gets 2 DUI’s within 7 years will have their License Revoked. To be clear, there is a lot more to the Law than that, but if you’re gong to get convicted of a 2nd alcohol-related Traffic Offense within 7 years of your first, your License will be Revoked. Revoked is different than Suspended. “Suspended” means your License is taken away for a specific period of time, described as “from/To.” This means, for example that a person will have his or her License Suspended from January 1, 2011, to April 1, 2011, when it will be automatically reinstated. “Revoked” means, well, gone. A person who has his or her License Revoked never gets it back until they apply for a License Restoration Hearing, and then only if they win that Appeal. Even if they wait 30 years, they can never just go in and have their License back until they file and win a License Appeal. And this is an important point to clarify: The Secretary of State simply counts the number of qualifying alcohol-related Traffic Offenses in order to impose a Revocation. This means in DOES NOT matter whether a person had a 1st Offense Impaired Driving, and then got a 2nd Offense OWI reduced to another 1st Offense Impaired. To the Secretary of State, that’s 2 within 7 years, and that means the Driver’s License is yanked. A new Law, which as of this writing is about 2 months from taking effect, provides for a Restricted License to 2nd Offenders who enroll in a qualified Sobriety Court program. This, of course, means the person has to have been convicted of the charge. What exactly constitutes a “qualifying” Sobriety Court, and lots of other details about the finer points of this new Law remain unclear, but will not doubt become clearer after the Law takes effect and is put to use. Stay tuned. Here, I think, we find ourselves at as good a place as any to talk about “consequences” in general. We have just dealt with the 2 most important aspects of a 2nd Offense DUI: Going to (or staying out of) Jail, and losing your License. This is another area of concern where 2 decades of Lawyering experience matters. I have literally had grown men cry their eyes out over fear of going to Jail, losing their jobs, their homes, their family and their License. I truly feel moved for them. If I was in their shoes, I’d probably cry, as well. To me, consequence management means avoiding as many of those “bulls**t” things as possible. And that’s where having the right Lawyer can make such a difference. If the reader has already been through a prior DUI (at least in Michigan), then it should come as no surprise that, unless the case is dismissed or “beaten” at a Trial, that same “Pre-Sentence Investigation” interview and Alcohol Evaluation/Screening Test will be required. Usually, both of those things were done at the Court’s Probation Department. Whatever that Probation Department recommended in that Pre-Sentence Report (which you should have reviewed with your Lawyer, in Court, right before the Judge Sentenced you) is EXACTLY what was ultimately Ordered by the Judge. It will be no different the second time around. To back that up, the reader should think back on their prior DUI. If your Lawyer spent enough time preparing you for the Alcohol Evaluation (Screening) Test, then you knew how to approach it, and what was going to be asked of you, and why, and what pitfalls to avoid. If your Lawyer prepared you for the Interview with the Probation Officer, then you had a clear frame of reference for how to respond during that session. You understood the Probation Officer’s perspective, and were aware of how certain responses you gave could produce detrimental, unintended consequences. If you weren’t adequately prepared, then you more or less had to find all that out on your own, after it was too late. Another aspect of consequence management in a DUI 2nd Offense is the issue of Counseling and Treatment. By law, anyone convicted of a 2nd Offense within 7 years MUST be Ordered by the Court to complete some kind of Counseling or Treatment Program. Technically speaking, and unlike way Driver’s License Penalties are imposed, the exact kind of Offense a person winds up with DOES affect that requirement. In other words, ANY 2 alcohol-related Traffic Offenses within 7 years will result in the legal requirement that a person’s License be Revoked. However, it is only after a person has been convicted of a numbered, 2nd Offense that the Law itself requires that they undergo some kind of Counseling or Treatment. Thus, if a person gets charge with an OWI 2nd Offense, but Plead guilty to an OWI 1st Offense, then there is no Legal requirement that they undergo Counseling or Treatment. That’s the technical explanation of the Law. In the real world, YOU CAN BET YOUR FIRSTBORN CHILD on the fact that anyone who gets any kind of 2nd alcohol-related Traffic Offense (DUI, OWI, OWVI, etc. ), within 7 years, regardless of what “number” the Offense is given, will be Court-Ordered into Counseling or Treatment. This means that, unless the Lawyer thinks there is a viable, likely way to get the case dismissed (and statistically speaking, that’s not something to bet your future on), a person facing a 2nd Offense will eventually be ordered into Counseling or Treatment. This also means that the person and their Lawyer should take advantage of this and use it as an opportunity to score some very useful “brownie points” by examining Counseling and Treatment options right at the start of a case. In other words, if you’re going to have to complete some Program anyway, why wait and get stuck in whichever one the Court orders, when you can, if you do it correctly, get into one of your own choosing, and use that fact to your advantage right from the start. It can only help a case if the Lawyer meets with the Prosecutor and can show the Client has had the proactive fortitude to get into a good program. And that’s where the Lawyer should help. A “good” Program is one which is good enough. No one wants to go to Classes or Counseling any more times than they have to, and no one wants to pay a fortune for endless Counseling sessions. That said, depending on a number of factors, any particular Program may turn out to be too intense, or not intense enough. As an example, a person who blew a .14 for their first OWI, and who blew a .20 or higher on their 2nd will inevitably wind up in a more intense Program than someone whose BAC was .08 at the time of the 1st Offense, and .10 on their 2nd. Thus, the decision as to which Programs to check out are best made in conjunction with the Lawyer, assuming he or she is familiar enough with the concepts of Alcoholism, Addiction, and Recovery. Frankly, being extremely well-versed in those things is, in my opinion, a minimum requirement for practicing this kind of Law. Thus, the whole notion of Treatment and Counseling is yet another facet that needs to be considered a fundamental part of dealing with an OWI 2nd Offense charge. In terms of preparation, that’s like going to sky-diving school and being told “you’re going to go up, and then you’ll come down.” Not much help there…. So far, we’ve talked about staying out of Jail, paying a reasonable Fee, finding the right Lawyer, losing your Driver’s License, and avoiding “bulls**t” consequences. There’s more. In part 3 of this article, we’ll conclude our general review of 2nd Offense OWI’s by looking at the issue of Court fines and other costs, and we’ll examine some the emotional and psychological aspects involved in this charge, and how they can be viewed either optimistically, or pessimistically (the glass is half full -vs- the glass is half empty).